Many people start fitness exercises because they want to lose weight. As one of the most vigorous exercises out there, running is an extremely efficient way to burn calories and drop pounds. If you hope to lose weight by running, keep in mind that you'll only shed pounds if you burn more calories than you consume. To lose a pound, you have to burn, through exercise or life functions, about 3600 calories. So you'll need to combine running with a healthy diet. Runners do have special nutrition needs, but the basic principles for healthy eating still apply. How can you gain weight if exercising regularly? One common eating mistake among runners is that they overcompensate for the calories burned by exercise with extra calories from more food and beverages. Some runners even find that they gain weight, despite their regular training. One way to prevent "stealth calorie" consumption is to write everything you're eating in a journal for a few weeks. Seeing a record of your food intake will help you see where your diet needs improvement. If you want to lose weight, you're not going to get it off by running once a week. It's best to get some activity every day but, if that's not possible, try to shoot for at least 3-4 times per week. Make sure to keep your health balanced tracking it with Health Snapshot or any similar tool. Incorporating speed work or interval training (running at a very fast speed for short intervals of time) into your running routine can also help your weight loss efforts. Speed work burns a great amount of calories in a short period of time. You'll also increase your muscle mass and improve your resting metabolism, causing you to burn more calories throughout the day. If you're running regularly and you're training for a long-distance event, proper nutrition is especially critical for your performance. Skipping meals doesn't allow you to train with adequately fueled muscles. You shouldn't skimp on calories before, during (when necessary), and immediately after your very intense and long workouts. These are crucial times when nutrition is important to performance and recovery. Check your fitness level with Fitness Test to make sure you're making a progress. How Can Jogging Actually Be a Weight-loss Exercise? In jogging, just like any form of aerobic exercise, your muscles are at work. The excess fat in your body is being burned. As you jog constantly, your metabolism will increase, which means that your body is slowly being transformed into an effective fat burning machine. This then means that you will lose excess weight gradually, and as soon as you reach your target weight, keep the extra weight off. In jogging, one can still get injured if he/she does not have the proper form, or is just a beginner in exercising but overexerts himself. Therefore, the proper thing to do is to start out slowly and pace yourself deliberately. If unsure, start only with exercises recommended for your fitness level. As you get used to jogging various distances, you may start picking up your pace until you reach a target speed. Jogging can be a very effective form of exercise and weight loss routine. 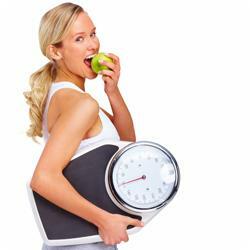 It is not too strenuous, yet effective enough for you to be able to reach your desired weight. Using a system like Health Snapshot will allow you to monitor your health on a daily basis. The test only takes a few minutes and the results are stored on your computer, helping you to monitor your progress in your health program. By simply making small changes, you can see your health assessments improve and your energy levels go up. When you are the one watching your health, you can be the one to take all the credit for its improvement too.